African animation is moving from the periphery and coming into focus: the Nigerian government is positioning the country as the next service-work hub, training 75,000 creative industry professionals by the end of 2020; local creators commanded the international stage at the Animation du Monde competition at MIFA 2018; and the African Animation Network’s (AAN) DISCOMICS Iqembu is laying the foundations today for a sustainable regional market tomorrow. 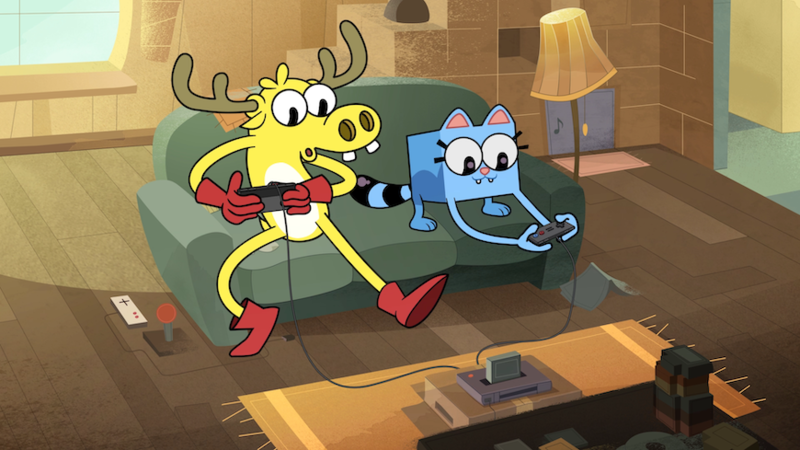 While all of those initiatives are forward-facing, there are already amazing toons coming from the continent — especially Nickelodeon’s MooseBox. 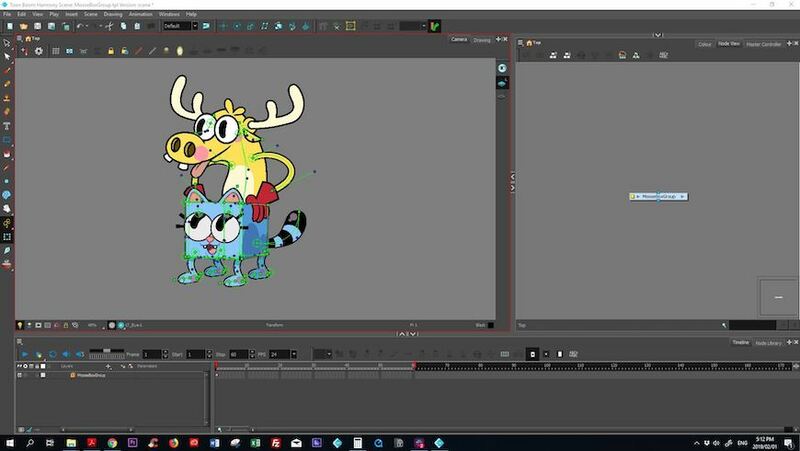 MooseBox is the vision of South African 2D animator Mike Scott, brought to life by Johannesburg-based animation studio Mind’s Eye Creative in Toon Boom Harmony. 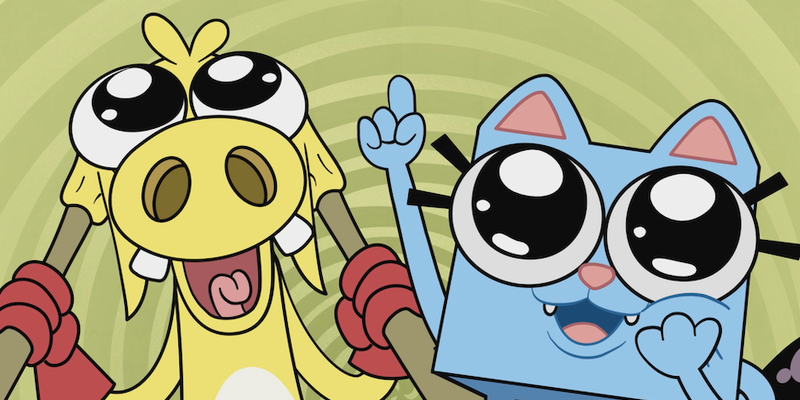 The genre-bending comedic kids’ cartoon follows two best friends —goofy, slow Moose and street-smart CatBox— playing in and exploring a world inspired by the 1980s’ golden era of video games. Cue pure, pixelated arcade nostalgia in 2D. The first season consists of 20 x 2-minute episodes currently airing on Nicktoons Africa and will be rolled out to international markets via the Nickelodeon Play (Nick Play) app. 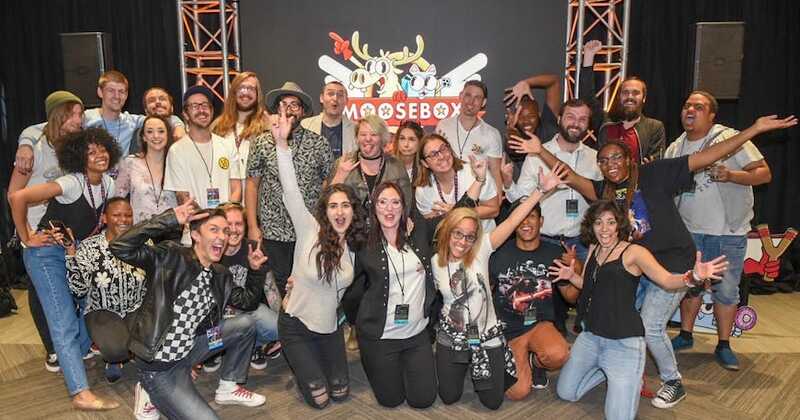 The original MooseBox pilot was created for the Nickelodeon International Animated Shorts Program in 2014 and the series was ordered in October 2017 — around the time that Scott reached out to Mind’s Eye Creative. “Mind’s Eye are a great 2D studio with a pipeline that’s all Toon Boom; it just made sense to work with them when it came time to do the full production,” says Mike Scott, creator of MooseBox. Having met at Annecy and seen the studio’s work on shows for Netflix, Amazon Studios, Youtube Premium, WWE, TruTV and Cartoon Network (all produced in Toon Boom Storyboard Pro and Harmony), Scott knew Mind’s Eye had the team, talent and tools needed to create MooseBox in a way that was entirely outside-the-box. It also helped him keep the series’ production entirely in South Africa, barring the voice work, which was done in New York. For Mind’s Eye Creative, the relationship with Scott and his work was plug and play. “Animation is long-term so it helps to have a relationship with the creator and believe in their idea. We all grew up in the 1980s so it was a perfect fit for us — we knew it was one of those projects that’s going to do well and once the international market sees MooseBox, they’re going to be asking for more,” says Nick Cloete, managing director of Mind’s Eye Creative. South African scribe Greig Cameron was in charge of the MooseBox scripts, which he brought a level of hilarity and surreality that let the characters shine; just reading the first draft would often have Scott laughing out loud. 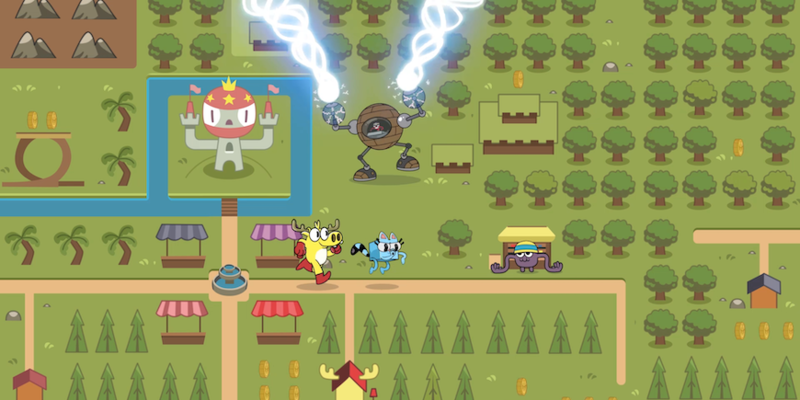 Additionally, he and Mind’s Eye Creative’s team packed the series with Easter eggs and nods to 1980s video games for enthusiasts of the era — from characters to plot lines to blink-and-miss-it background elements. When it came time to production, 2D animation was the only option. “To me, 2D animation always seemed to lend itself better to MooseBox. We get pretty expressive with the characters in the episodes and, while that could be possible in 3D, some of my favourite IPs lose their charm when they go into 3D,” says Scott. Fortunately, Mind’s Eye Creative are specialists in running a pipeline for long-form 2D animation, hybridizing cut-out and traditional techniques. 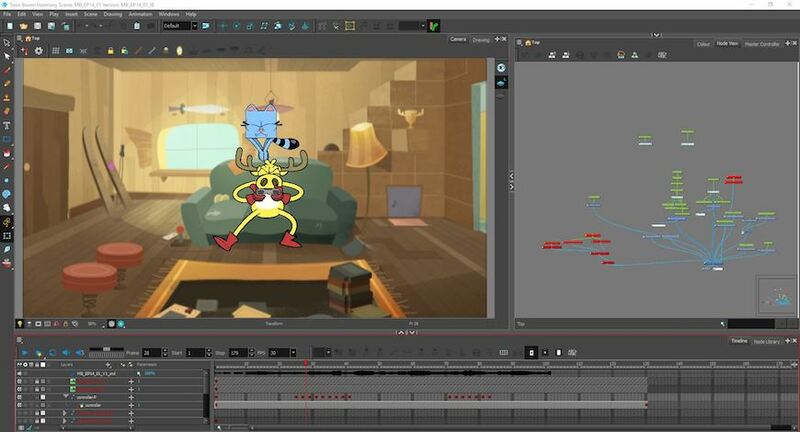 Pre-production was five months, while production on the first season of MooseBox took six months — with eight animators working on it at any given time in Toon Boom Harmony. Cut-out rigging was among the most essential functions of the industry-standard animation software during MooseBox production, helping Mind’s Eye Creative’s team to design and size consistently and hybridize with tradigital techniques. Harmony 15’s improved deformer tools also made the characters more pliable, empowering artists to achieve the series’ zany appeal and limited the number of drawing replacements needed. As a vector-based software, pixelation issues were eliminated from scaling, while the node module tools simplified the After-Effects compositing workflow and the program’s overall stability minimized tech issues. With MooseBox setting its sights on international audiences, this is only Level One for the video game-inspired African cartoon. As the world’s youngest continent, Africa is primed to be both a huge consumer and creator of animation — particularly digital content, as it is home to the globe’s fastest-growing mobile market. As streaming services like Netflix and Amazon Prime seek diverse voices and distinctive stories, and drive production regionally, the future's looking bright. 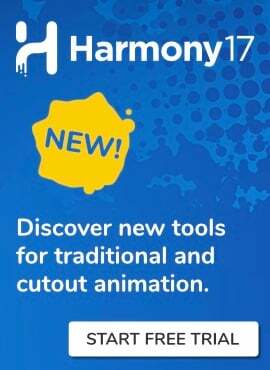 Download your free 21-day trial of Toon Boom Harmony now to get started on your next animation project!